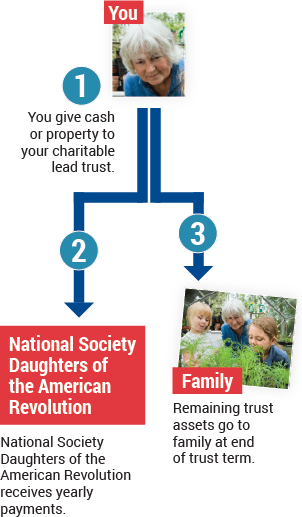 Do you want to benefit from the tax savings that result from supporting the the National Society Daughters of the American Revolution, but you do not want to give up any assets that you would like your family to receive someday? You can have it both ways with a charitable lead trust. You give assets to a trust that pays NSDAR set payments for a number of years, which you choose. The longer the length of time, the better the gift tax savings to you. When the term is up, the remaining trust assets go to you, your family or other beneficiaries you select. This is an excellent way to transfer property to family members down the line at a minimal cost. You can create a lifetime charitable lead trust to take effect today, or you can set up the trust to take effect at your death (a testamentary trust). 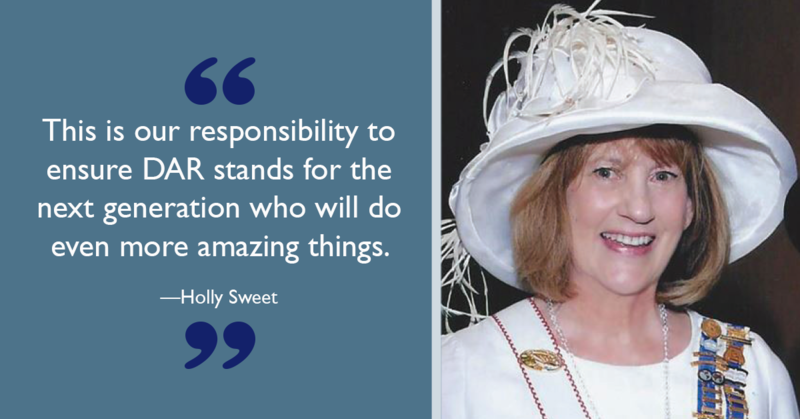 You support NSDAR while also making sure your family is taken care of after your lifetime. There are two basic types of charitable lead trusts: a grantor lead trust, where you receive the remainder interest, and a non—grantor or family lead trust, where family members receive the remainder interest. To discover which is right for you, contact your tax or financial advisor. Contact the Office of Development at (800) 449-1776 or giftplanning@dar.org for additional details about creating a charitable lead trust. We are happy to help, without obligation.